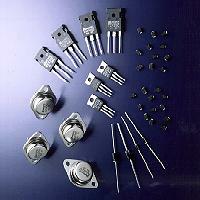 Mospec Semiconductor is the largest manufacturer of power devices with a broad line of products in Taiwan. And we are also the only manufacturer that has integrated a line of products from raw prime wafers to Epitaxial Wafers, Bipolar Power Transistors, Darlingtons, Schottky, Ultrafast & Fast Recovery Rectifiers and Transient Voltage Suppressors (TVS). We also provide Wafer Foundary and assembly service on ODM or OEM bases.